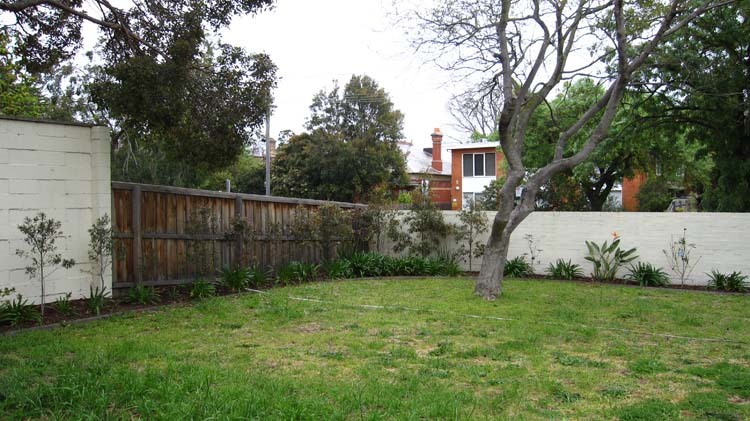 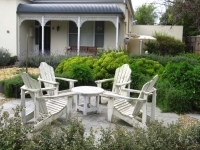 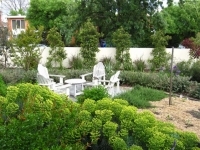 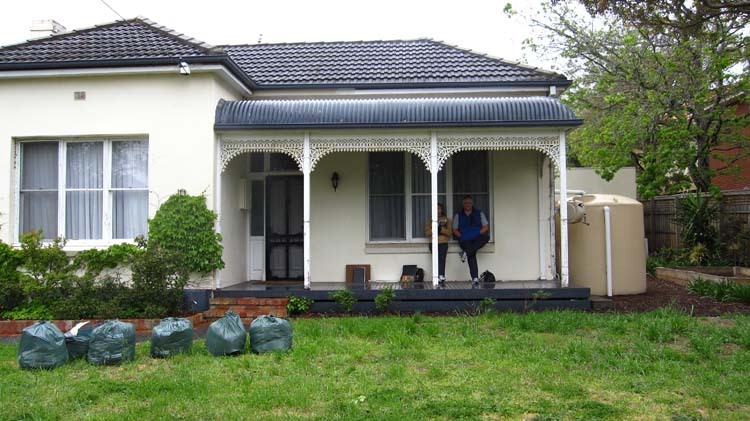 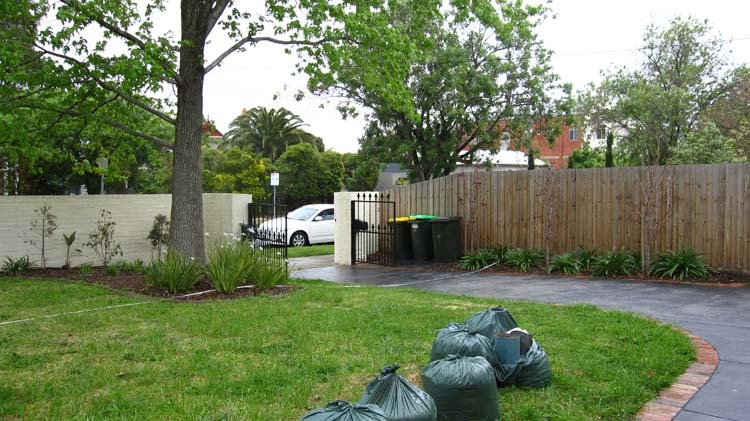 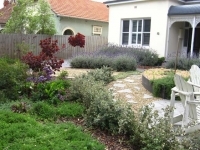 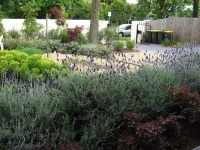 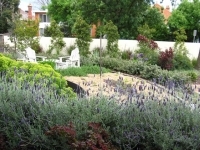 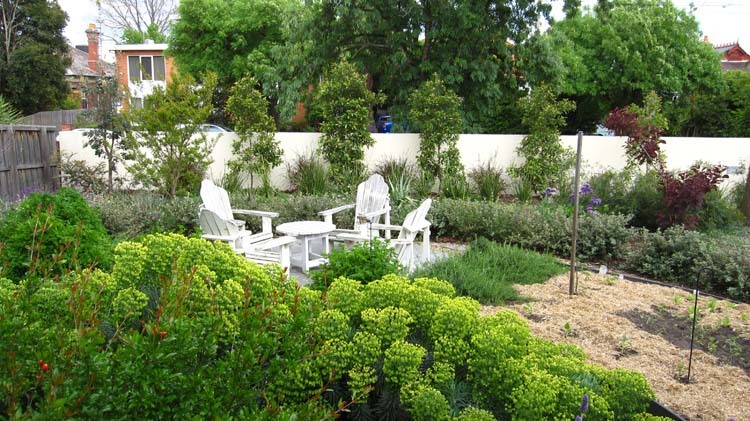 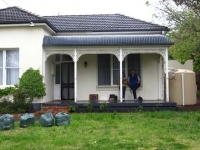 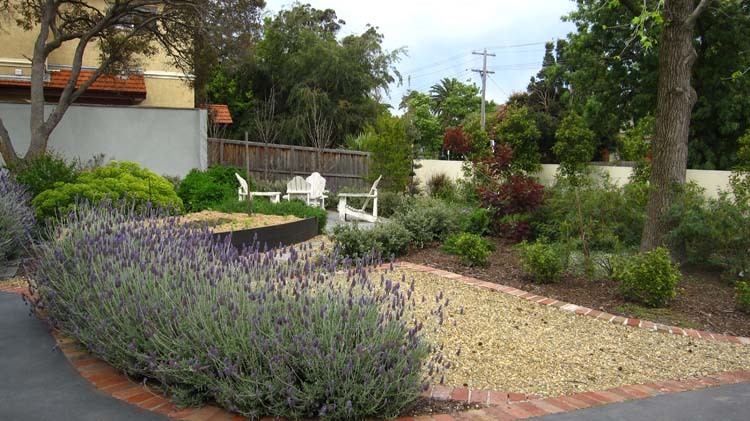 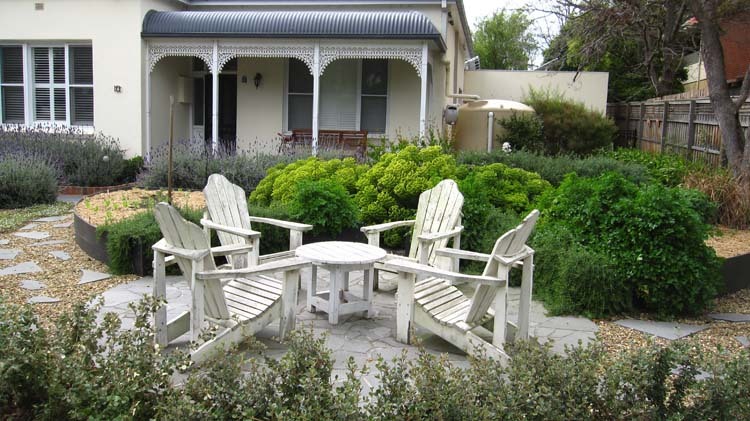 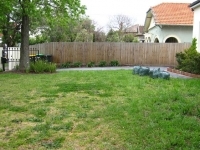 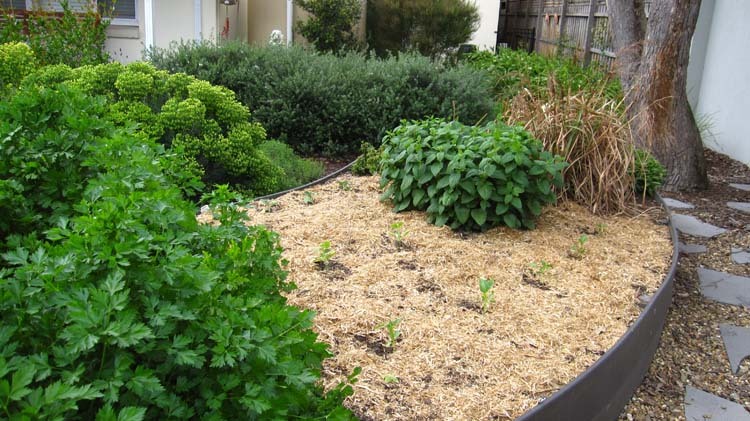 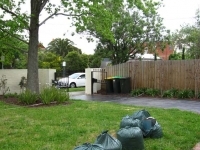 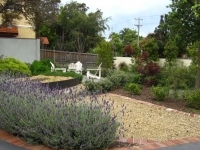 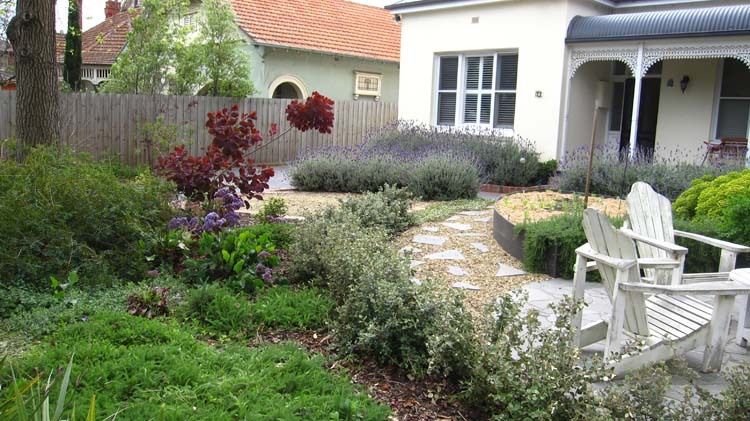 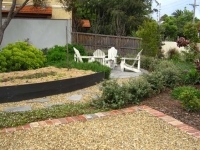 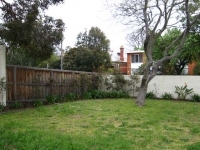 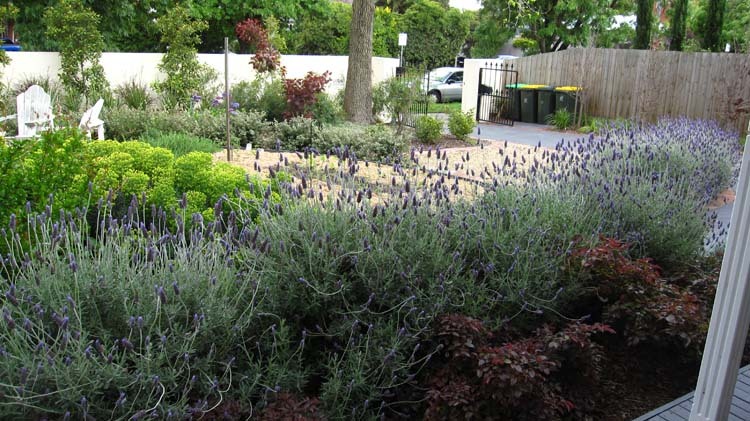 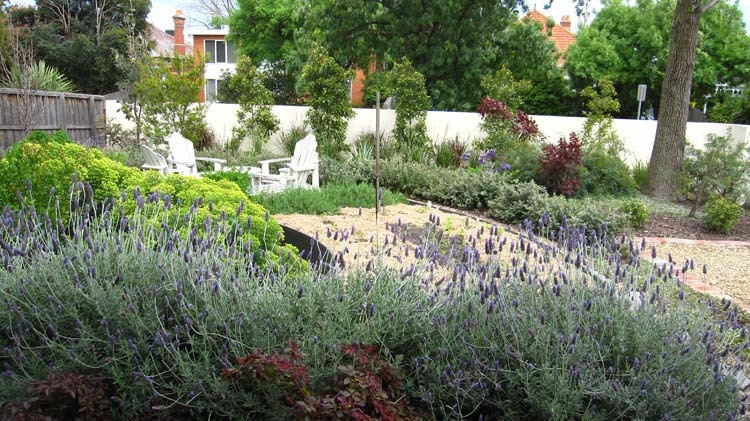 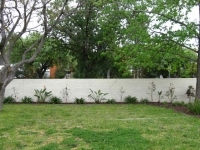 This large front yard in an Elsternwick home was rather bland and unappealing. 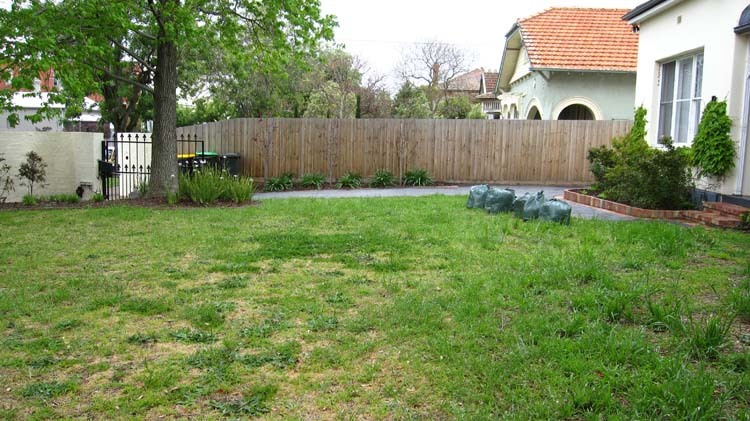 It was also a significant area that wasn’t being utilised as well as it could be. 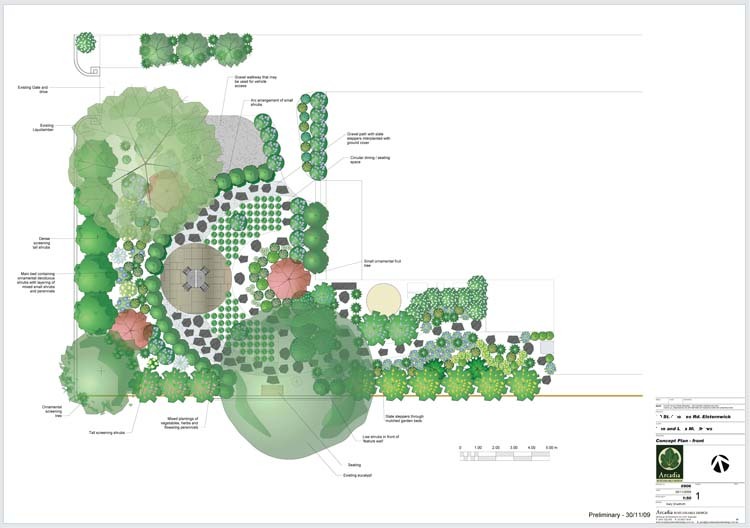 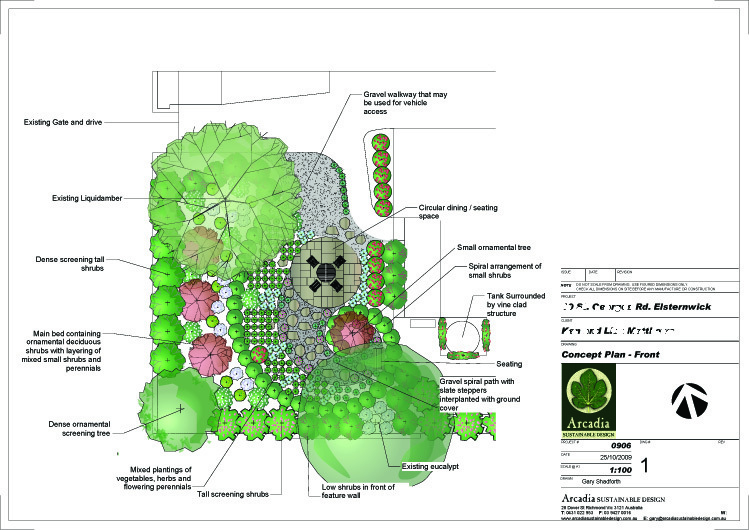 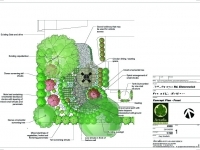 There was an interest in making it more usable and including opportunities to grow veggies. 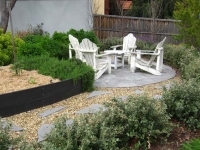 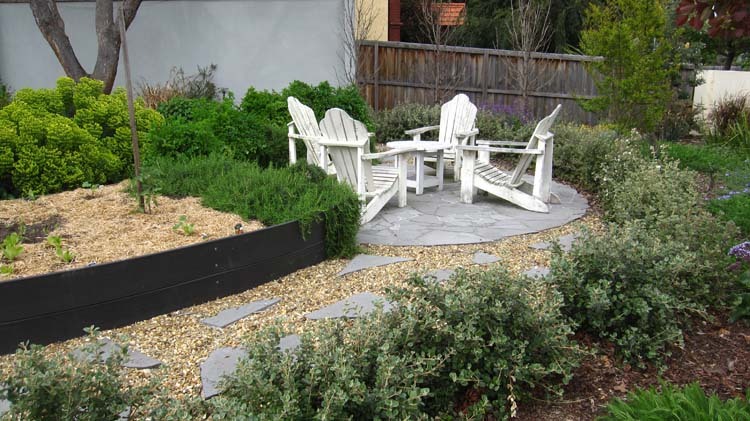 A new garden design eliminated the lawn and replaced it with an expanded garden and placed within it a stone paved gathering space for casual table and chairs. 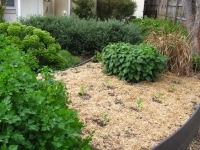 Raised garden beds for food plantings were integrated into the plan. 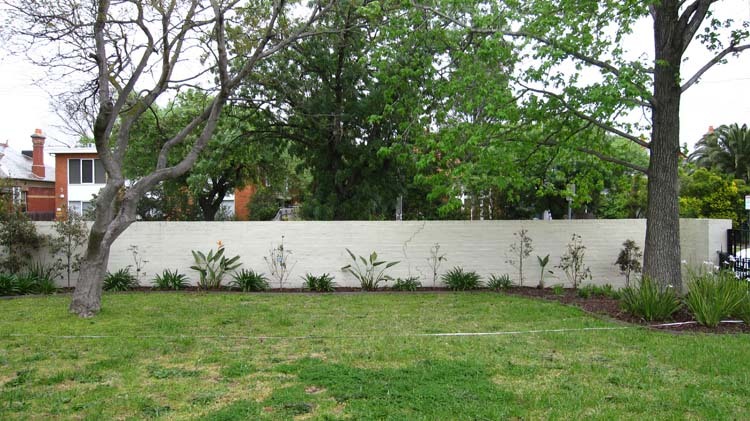 We created a lush, relaxing and productive oasis behind the front boundary wall that is now an important living space for the home. 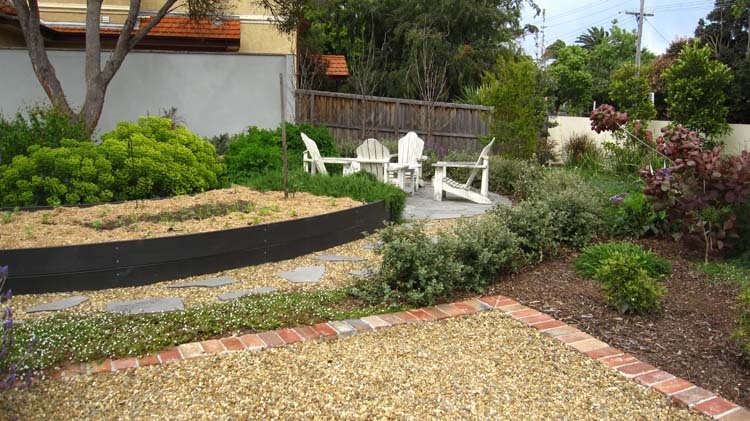 Before and after the garden design.